Being able to capture the images on your screen can come in very handy at times. This could be to preserve some kind of online transaction, grabbing an image to share with a friend, or helping the designated IT support person in your family diagnose a problem with your laptop or desktop PC. Windows 10 offers a variety of ways to accomplish this task, many of which still work on Windows 8.1 & 7. 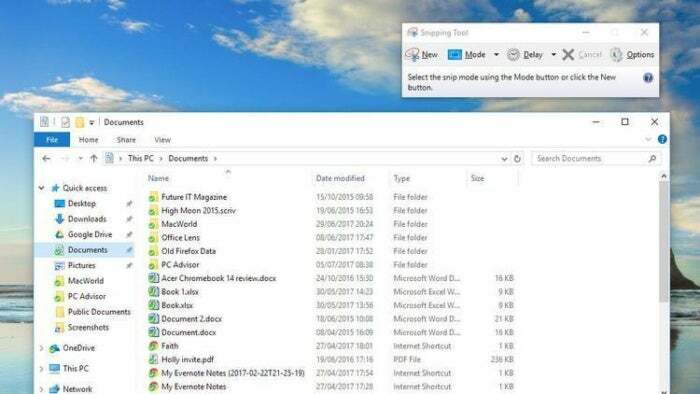 We show you the simple steps you need to take if you want to capture a screenshot in Windows 10. By far the quickest and easiest way to capture what's on your screen is to hold down the Windows key and press the Prt Scr key (or Print Screen, to give it its full title). You'll find the key towards the top-right of your keyboard. Doing this will instantly take a picture of your whole screen, as you see it. You should notice a slight dimming of the display when you take the screenshot, so if you don't see this, your capture was probably unsuccessful. 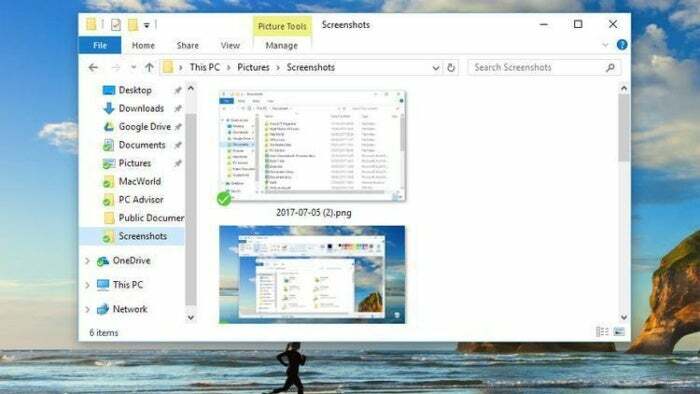 If you open a File Explorer window (use the shortcut Windows+E) you'll find a .png file of your screenshot in This PC > Pictures > Screenshots. The Win+Prt Scr combo will grab everything (both screens if you have a second monitor connected). Often, though, you only want a specific app to be in the image. To capture just one Window, make sure you click on it first so it's 'active' then use the Alt+Prt Scr combination to take the screenshot. 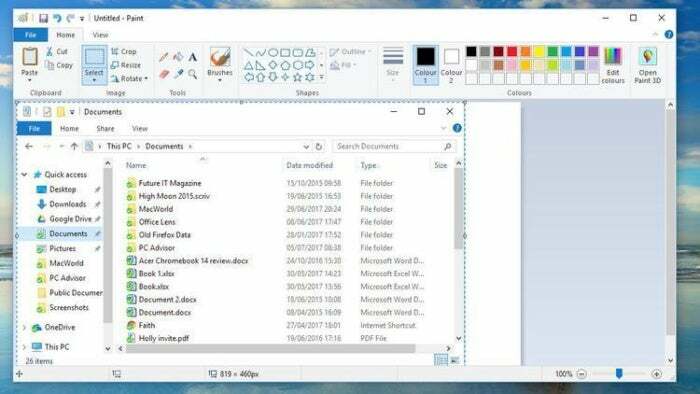 This action copies the screenshot to the Windows clipboard. You can then paste it into a program such as the built-in Paint, then save the file. If you have OneDrive - Microsoft's cloud storage app - it can be configured to automatically save screenshots. You should see a message appear at the bottom of the screen saying 'saved to your OneDrive folder'. Open the Screenshots folder in Pictures and you should see the new image, only containing the window you were using. 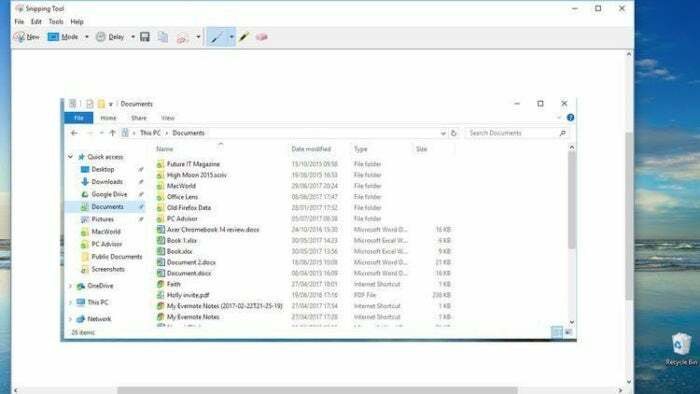 You also can take a screenshot in Windows by using built-in Snipping Tool. This allows you to save specific areas of the screen, and not just entire app windows. 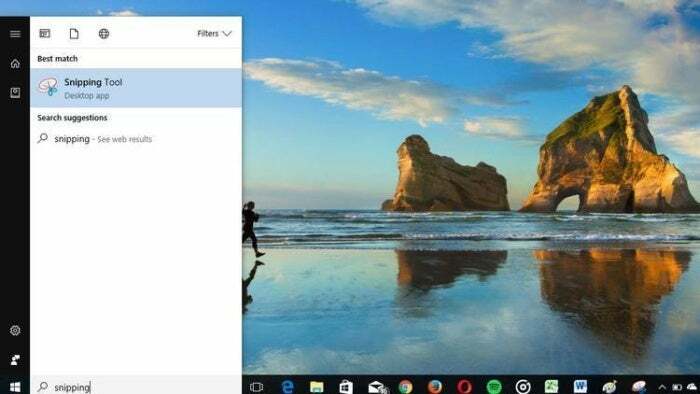 To do this go to Start Menu and type snipping tool into the Start menu search box, then click on the top result. The app will launch as a small window with various options listed in a menu bar across the top. To take a screenshot, you will need to click on New. The screen will become faded, and a cross will replaces the normal arrow mouse pointer. Now, just hold down the mouse/trackpad button and drag the cursor around the area you want to snapshot. When you let go to the button the highlighted area will be captured. Now just click on File>Save as, and you can rename the image and select where it is stored. 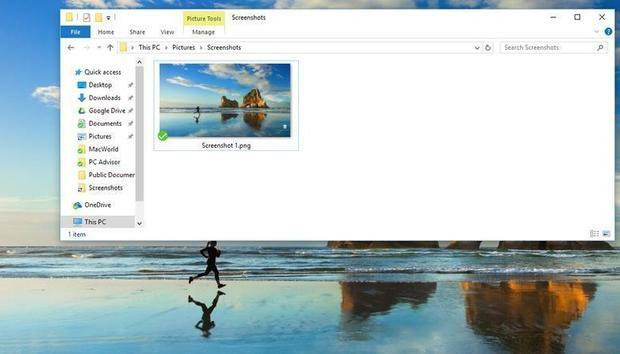 There you have it, a few easy ways to grab screenshots in Windows 10. Be sure to also check out our Windows 10 Tips & Tricks guide for more ways to get the most out of your PC.